The South Korean central bank is expected to hold the country's key rate at the current 1.5 percent in its upcoming monetary policy meeting amid rising uncertainties at home and abroad, market insiders said Wednesday. 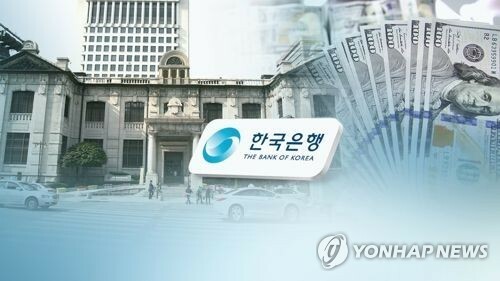 The Korea Financial Investment Association (KoFIA) said that in its latest poll, 89 percent of 100 local bond traders forecast a rate freeze at the BOK meeting scheduled for Thursday. Global investment banks and credit appraisers, such as HSBC and Moody's, also expected the BOK to not move to adjust the key rate. They said the sluggish job market and simmering trade frictions around the world will weigh heavily on the BOK's rate-setting process. The central bank has maintained the 1.5 percent rate policy since November last year when it raised the number by a quarter percentage point for the first time more than six years. BOK Gov. Lee Ju-yeol has stressed that the central bank will maintain an accommodative monetary stance to support the recovery of Asia's fourth-largest economy. Inflation pressure has remained low for months, hitting 1.5 percent in June, compared with BOK's target inflation of 2 percent. Also, the country's job creation numbers have remained weak in recent months, driven by a sluggish manufacturing industry, amid restructuring in the labor-intensive shipping and automotive sectors. At the same time, the South Korean economy will be affected by the intensifying trade spat between the United States and China, which are the country's No. 1 and No. 2 trade partners. Some economists anticipated that the BOK will become more reluctant to raise the rate one or two times this year as it pledged to do earlier. "When we see such downside risk come to light in real economic data later this year, the BOK may have to hold off on taking any action this year," said Park Sung-wook from the Korea Institute of Finance.